Dynatrace failure detection automatically detects the vast majority of error conditions in your environment, including the underlying root causes of such error conditions. 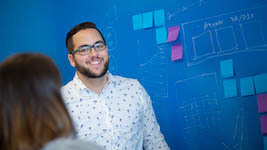 With this approach, Dynatrace is able to provide you with answers when problems occur or when your application performance drops. 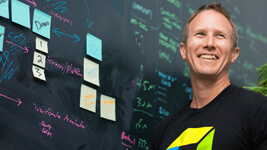 While automated failure detection works well for technical errors that require the attention of your developers, there are some types of functional errors that Dynatrace can’t detect automatically because the conditions technically aren’t errors from the perspective of the application (for example, a business transaction fails because a credit card has expired or is over limit). Because we’ve received a lot of feedback from our customers about such functional-error situations, we’ve released a major upgrade to Dynatrace service-failure detection. These enhancements improve the accuracy of Dynatrace failure detection while simultaneously enabling you to detect functional errors in your environment. 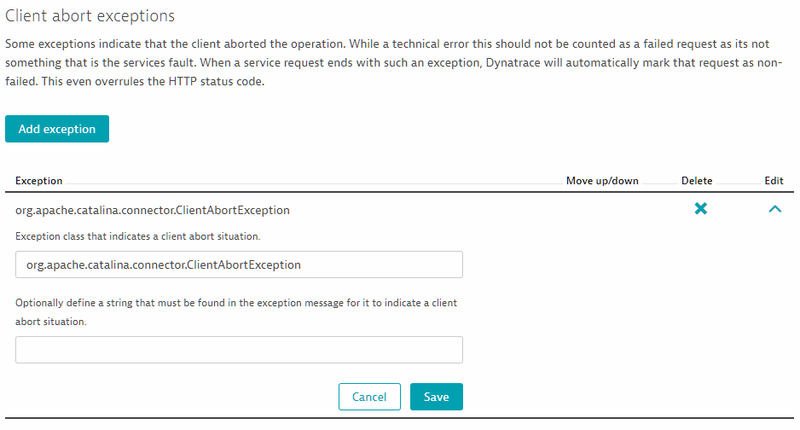 Dynatrace automatically detects programming exceptions (Java, .NET, Node.js, and PHP) as the reason for failed requests when the exceptions result in the abort of service calls. Many web containers provide error pages for handled exceptions; Dynatrace detects most of these situations as well. 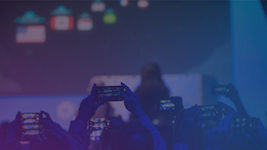 Beyond this, however, there are situations where application code handles exceptions gracefully in a manner that isn’t automatically detected by Dynatrace. When this happens, Dynatrace doesn’t detect failed requests or alert you to errors. Such situations can now easily be remedied. Click the […] browse button and select Edit. Within the Custom handled exceptions section of the page, click the Add exception button. 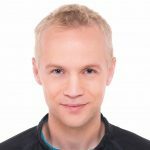 Type in the Exception class that, when associated with a failed request, even if the exception is handled gracefully, the request will be marked as failed. (Optional) Type in an Exception message to serve as a filter—only exceptions that include the specified message will lead to failed requests. 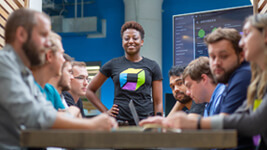 Following these steps, if Dynatrace finds the defined exception (and optional defined exception message) on any request, Dynatrace will mark that request as failed. There are many cases where requests fail for reasons that are related to business logic. While such situations often aren’t detectable via exceptions or HTTP response codes, they are nevertheless indicative of problems. In fact, these situations may be even more important than situations that are detected via exceptions and response codes. To handle these situations, Dynatrace now allows you to use request attributes as indicators for error situations. For example, you might have a business function in your Java code that indicates an error via a return value. In other situations, you might have your own error handling functionality that, when called, indicates a functional business error. You can now use the existence and values of such request attributes as indicators that your requests have failed. Define a condition for the rule. You can define a simple exists rule, a greater than rule, or a contains rule. 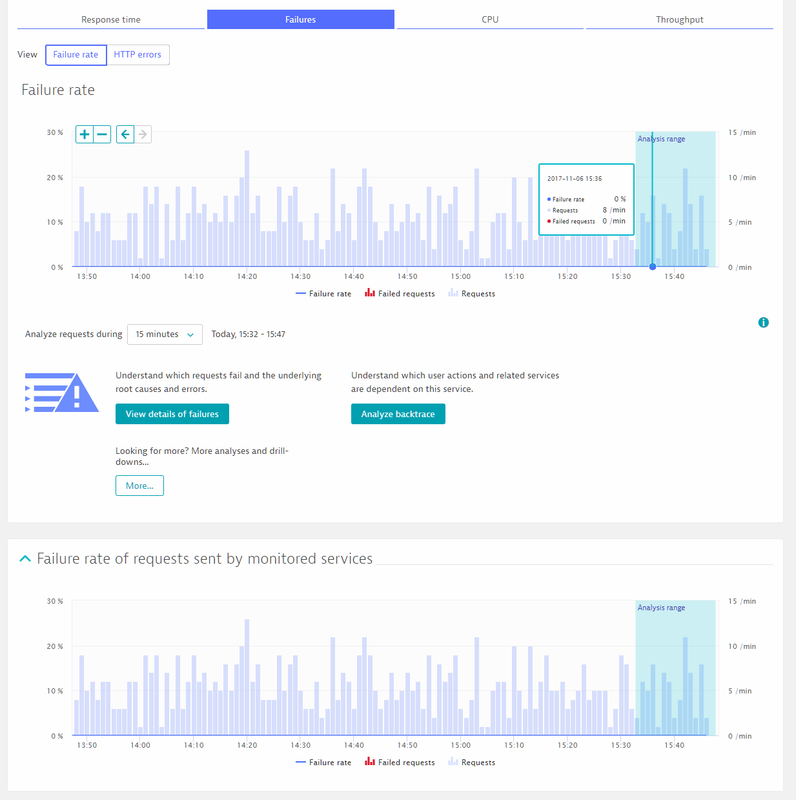 Consequently, you can now track the failure rate of a service along with the calls to the service, assuming the service is monitored by Dynatrace (see the Failure rate of requests sent by monitored services chart example below). In most cases, an empty HTTP response code isn’t indicative of an error, but rather of a client abort situation. However, this isn’t always the case. You can now inform Dynatrace when you consider the absence of an HTTP status code to be indicative of a failed request. Be careful with this on the client side however: “Fire and forget” HTTP posts that don’t wait for responses also don’t have HTTP response codes. When a web server can’t find a certain page it returns an HTTP 404 response code. Usually, this indicates a problem on the calling side. In cases where the calling side belongs to the same website, this would be considered a broken link. 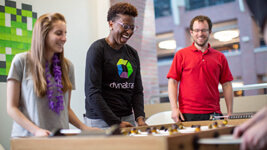 Dynatrace used to automatically treat such situations as server-side errors. It turned out however that most of our customers don’t consider such situations to be server-side errors. While the functionality still exists, it’s now no longer the default for new services and is now available as an opt-in setting. In contrast to exceptions that must be ignored, there are other exceptions that indicate that a call was aborted and as such shouldn’t be considered as failed under any circumstances—even when other information is available. This can now be explicitly configured as well. 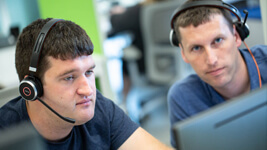 If a service request is left with such an exception, Dynatrace won’t consider the request failed, regardless of the HTTP error code or any other information. Error detection will simply ignore such exceptions.